John Adams is on the rebound. Almost overnight, a consensus seems to be building that our second president is the most under-appreciated great man in American history. David McCullough's biography of Adams (called by Princeton historian Sean Wilentz "a valentine") tops the bestseller list. Joseph Ellis, author of Founding Brothers, a new book on the key figures of the Revolutionary generation, recently declared Adams to be his favorite of the bunch. Congress seems poised to appropriate funds for a new national monument dedicated to Adams, his wife Abigail, and his son, John Quincy. On television, Americans hear McCullough explain how Adams was the voice of the Declaration of Independence, savior of the Revolution, drafter of the Massachusetts Constitution that served as a model for the federal Constitution, and the President who avoided a potentially disastrous war and appointed the great Chief Justice John Marshall. Of all his accomplishments, John Adams felt as proud as any about his service in 1770 of defending a British captain and eight soldiers accused of murder in the incident known to all as "the Boston Massacre": "The Part I took in Defence of Cptn. Preston and the Soldiers, procured me Anxiety, and Obloquy enough. It was, however, one of the most gallant, generous, manly and disinterested Actions of my whole Life, and one of the best Pieces of Service I ever rendered my Country." 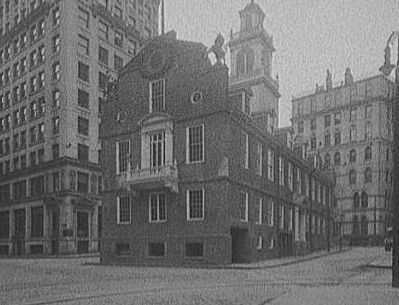 The Boston Massacre trials, landmarks on the road to American Independence, still deserve our attention 225 years after our nation's founding. The tragedy of March 5 began with a simple dispute over whether a British officer had paid a bill to a local wig-maker. The officer was walking down King Street when Edward Garrick, the wig-maker's apprentice, called out, "There goes the fellow who hath not paid my master for dressing his hair." The officer with the new haircut, Captain John Goldfinch, passed on without acknowledging Garrick. But Garrick persisted, telling three passers-by that Goldfinch owed him money. A lone sentry named Hugh White overheard Garrick's remarks. White told the apprentice, "He is a gentleman, and if he owes you anything he will pay for it." Garrick's answer--that there were no gentlemen left in the regiment--caused White to leave his post and confront Garrick. After a brief, heated exchange of words, the sentry struck Garrick with his musket, knocking him down. After midnight, Justices Richard Dania and John Tudor gave the sheriff a warrant for the arrest of Captain Preston. Preston was arrested and brought to the Town House, where he was interrogated for an hour about the shooting by the two justices. At three o'clock in the morning, the justices concluding they had "evidence sufficient to commit him," sent Preston to the jail where he would remain for the next seven months. 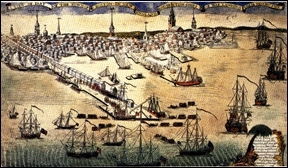 As Preston and the eight indicted soldiers languished in jail, Boston residents (including such notable figures as Samuel Adams and John Hancock) pressed demands on Hutchinson and Colonel Dalrymple for the "instant removal" of all troops from the city of Boston. The two men initially balked at the demand, but finally gave into overwhelming public pressure. The two regiments evacuated the city and moved to Castle William. The period after the massacre were tough ones for Acting Governor Hutchinson. 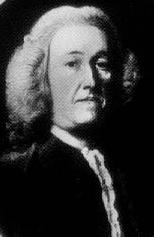 Two weeks after the Massacre, Hutchinson wrote: "In matters of dispute between the King and the colonies government is at an end and in the hands of the people. Still, Hutchinson resisted demands for quick trials--"so that," he said, "people may have time to cool." Authorities determined that Captain Preston should be tried separately from the eight soldiers. On October 21, the soldiers objected in a letter to the Court: "We poor distressed prisoners beg that ye would be so good as to let us have our trial at the same time with our Captain, for we did our Captain's orders, and if we do not obey his command should have been confined and shot for not doing it." The soldiers feared--not without reason--that Preston's best defense lay in denying that he gave any orders to fire, and that their own best defense lay in claiming that they only followed their Captain's orders. If Preston were to proceed to trial first, their defense might well be compromised. The conflict between the interests of Preston and the soldiers must have presented a dilemma for John Adams, who had agreed to defend then both. Under the ethical standards of today, Adams should have made a choice between representing either Preston or the soldiers, but such conflicts were viewed differently in the 1700s. The soldiers' request for a joint trial was denied without explanation..
Captain Preston's trial for murder came on first the Queen Street Courthouse. The trial ran from October 24 to 30. 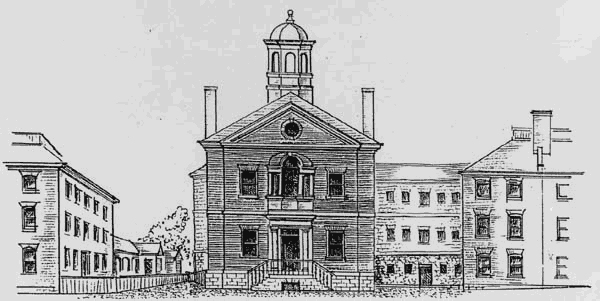 The prosecution was led by Samuel Quincy, the colony's solicitor general, and prominent Boston lawyer, Robert Paine. Josiah Quincy assisted John Adams in his defense of Preston. For further information and documentation, see Professor Linder's Web site on The Boston Massacre Trials. © 2001 by Douglas Linder. All rights reserved.